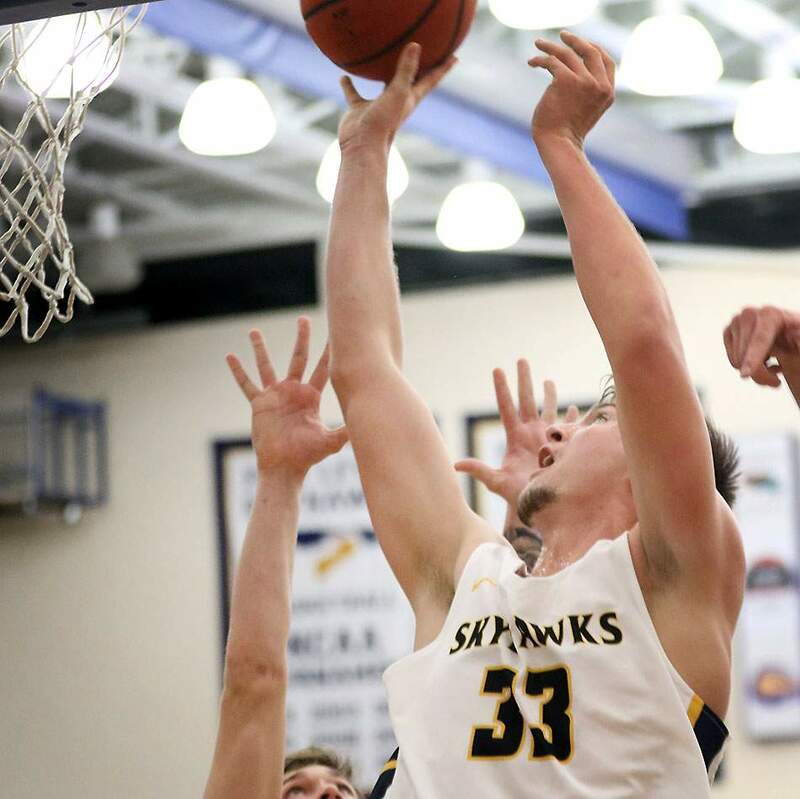 Fort Lewis College redshirt freshmen center Brenden Boatwright has emerged as a force for the Skyhawks in recent weeks, which has helped the team go 3-2 in its last five games after a poor start to conference play. Brenden Boatwright of Fort Lewis College schooled the Mountain Lions of UCCS in the paint in a career-best game. 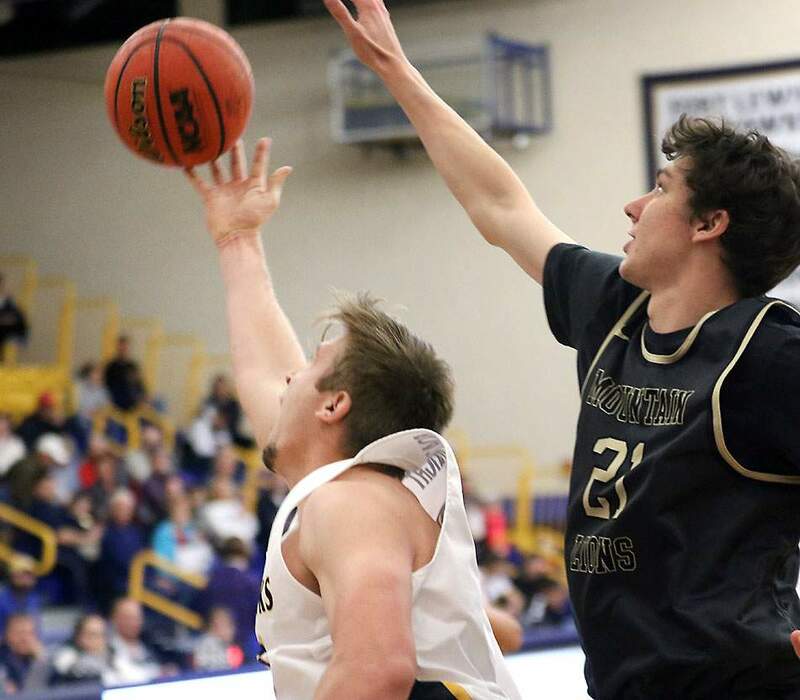 Brenden Boatwright’s emergence has come at the perfect time for Fort Lewis College men’s basketball, and it may lead a team that started 1-5 in Rocky Mountain Athletic Conference play to an unlikely spot in the conference tournament. Boatwright, a 6-foot-9, 250-pound redshirt freshman, has had three breakthrough moments in each of the team’s last three weeks of play. 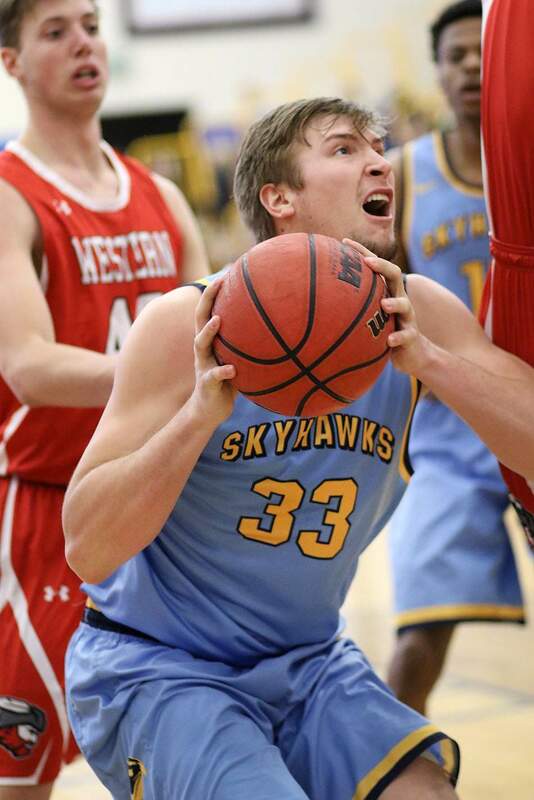 Last Saturday in a rivalry game against Colorado Mesa University, he had the game-clinching blocked shot to help send the Skyhawks to a 79-76 home win and a weekend sweep to get within one game of eighth place in the RMAC standings at 4-7 with 11 games to go. Boatwright was a big addition to the FLC program when he was signed out of high school in 2017. Not only was he already 6-9, he was the 2017 Gatorade Player of the Year at New Mexico’s Carlsbad High School, where he averaged 21.8 and 11 rebounds per game as a senior. The tall outdoorsman immediately drew comparisons to FLC legend Alex Herrera, another 6-9 center out of Ignacio. Like Herrera, Boatwright took a redshirt season and sat on the bench the majority of his freshman year while he watched his team deliver a regular season conference championship and reach the NCAA Division II South Central Region tournament for a third consecutive season. This year, Boatwright wasn’t getting much of a chance to contribute meaningful minutes with senior Division I transfer Otas Iyekekpolor added to the team. He had averaged less than seven minutes per game in the team’s eight games before the new year. When Boatwright was on the floor, he rushed when he had the ball in his hands. 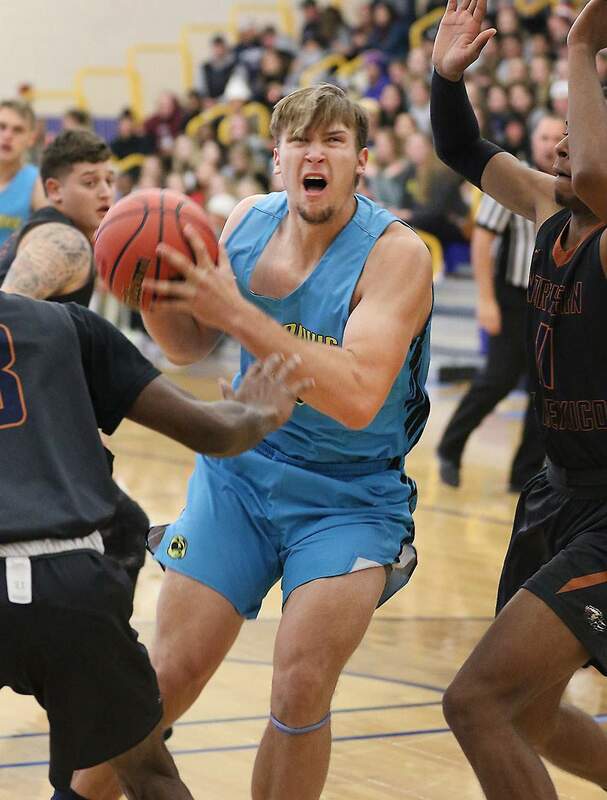 Brenden Boatwright of Fort Lewis College has been more comfortable in the paint in recent weeks and has found a scoring rhythm. That was until after the holiday break. Since then, Boatwright has made the most of his time on the floor. He had his first minor breakthrough Jan. 5 in overtime of a win at Chadron State in Nebraska. He had played only four minutes of regulation but was forced into action in overtime with FLC in foul trouble. He delivered with three big rebounds and six points to help FLC to a 100-88 victory. Six days later, Boatwright played a career-high 20 minutes and scored a career-high 22 points with a perfect 12-of-12 showing at the free-throw line in a 100-99 loss to University of Colorado at Colorado Springs. The next night, matchups didn’t allow Boatwright more than nine minutes on the floor, and he scored only four points and had two rebounds. But, last weekend, Boatwright saw a combined 30 minutes against Western Colorado and Colorado Mesa and had the blocked shot that could help save FLC’s season. Head coach Bob Pietrack marveled at his young big man after the game. FLC senior Alex Semadeni shared the spotlight with Boatwright in the wins against Chadron State and Colorado Mesa. He made three 3-pointers in the final 32 seconds of regulation, including the tying basket at the buzzer to send the game into overtime. He went on to score 37 points with 10 in overtime. In last weekend’s win against the Mavericks, it was Semadeni’s spinning drive to the basket that led to the game-winning layup before Boatwright’s blocked shot heroics. Semadeni, a fifth-year senior captain for FLC, has been as happy as anyone to see Boatwright find success his redshirt freshman season. “I know earlier in the year he was a little frustrated about how he was playing and lack of opportunity,” Semadeni said. “To see him respond to that adversity by working hard to now being in a position where he’s helped us win games, that’s what it’s all about. Fort Lewis College redshirt freshman Brenden Boatwright had a career-high 22 points against UCCS two weeks ago. Semadeni also knows what it is like to sit out a freshman season and then slowly make a presence felt in the FLC program. As an outgoing senior, he’s excited to see the play of Boatwright and true freshman Brendan LaRose, who he believes will carry on the program’s tradition. Boatwright will look to keep chugging along when FLC embarks on a four-game road trip beginning this Friday and Saturday in Denver against Regis and Colorado Christian before a trip the following weekend to Utah to see Dixie State and Westminster. When FLC returns to Whalen Gymnasium on campus Feb. 8 against Colorado Christian, the Skyhawks hope to be playing for position in the RMAC tournament. There is something that’s different than the last time FLC visited Denver: the big Boat has arrived.